free up storage space without any hassles with Duplicate Finder and Remover. Why Use Duplicate Finder and Remover? Duplicate files serve no purpose in your Mac. It is time consuming and tedious to find and delete the duplicates scattered all over your Mac. Duplicate Finder and Remover quickly scraps the duplicate files hiding in your Mac. If you download a lot of files from Internet, sync other devices and transfer their content to your computer or do a lot of copy-pasting, then this tool is simply the quickest way of restoring gigabytes of space. The Scan engine finds duplicates not only by files’ name and creation date but also by their content. Not only your mac’s drives, but also your Photos and iPhoto libraries can be scanned. You can auto-mark duplicates in all groups to safely remove all duplicates from your Mac. Duplicate Finder and Remover has an intuitive and clean layout. The interface is user-friendly. Navigation within the app is fluid. Sed posuere laoreet sodales imperdiet. Sed posuere laoreet laoreet euismod imperdiet. 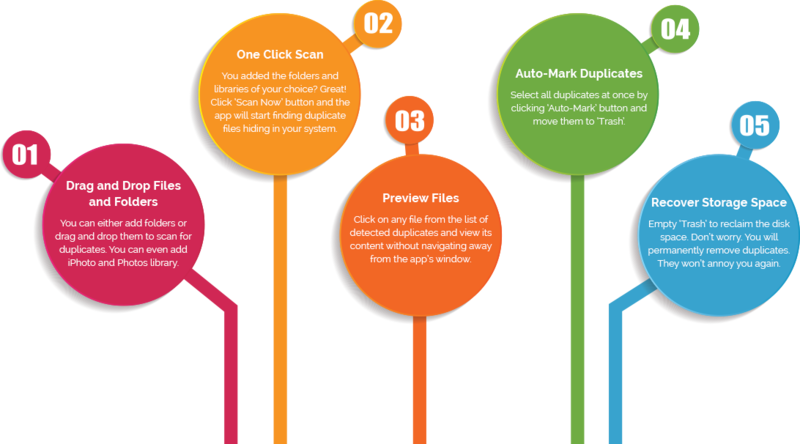 Duplicate Finder and Remover has been equipped with not only a faster engine but also an effective and accurate one. You can remove all the duplicates from your Mac without any trouble. Why to think twice before copying a file or syncing content from your other gadgets to Mac? 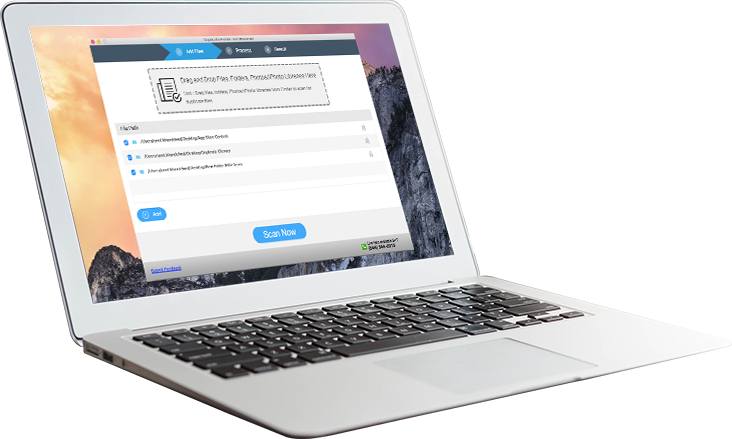 Create backup, restore files, download images and for all the duplicates that are being created in the process, Duplicate Finder and Remover is there. I’m amazed at the results of Duplicate Finder and Remover. Such an app was needed for my Mac. I am now free of duplicate media files, documents, archives files etc. Systweak Software is an international IT development company which creates system optimization utilities for users all over the world. We endeavor to continuously reinvent ourselves to develop and implement new technologies and have also ventured into photography and more. © Systweak Software, 2015 All rights reserved.